At Align we offer a variety of Health and Fitness services ranging from Pilates, Physical Therapy, Nutritional Counseling, to Massage and GYROTONIC®. A number of businesses work together to help clients achieve their overall health needs. Our studio has private treatment rooms for your Physical Therapy needs. Our therapists combine their talents in both manual and movement therapy. Pilates -based therapeutic exercises are incorporated to help clients regain strength and flexibility after an injury or for use in preventing injuries. Our registered dietician can help with your nutritional goals whether you want to manage your weight, compliment medical treatments for chronic disease or increase sports performance. 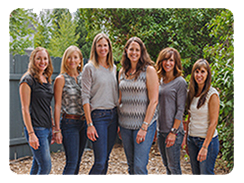 To schedule a private appointment please call (970) 870-0100.